Robert Smith conducts the Hopkins orchestra during the final piece of the Spring Concert at the Church of the Redeemer in New Haven. After eight years at Hopkins as the Instrumental Music Director and Music Theory teacher, Robert Smith will now serve as Chair of the Art Department. In this role, Smith will oversee the thirty-fve arts classes offered to high schoolers this year, as well as the art period rotation for seventh and eighth graders. in New York City for a year. To this day, Smith is busy pursuing his passion for music education year round. Since 2010, Smith has spent his summers as the Senior Orchestra Director at the Southern Maine String Camp. In that same year, Smith was chosen to lead the Yale Medical Symphony Orchestra, which puts on concerts throughout the year. 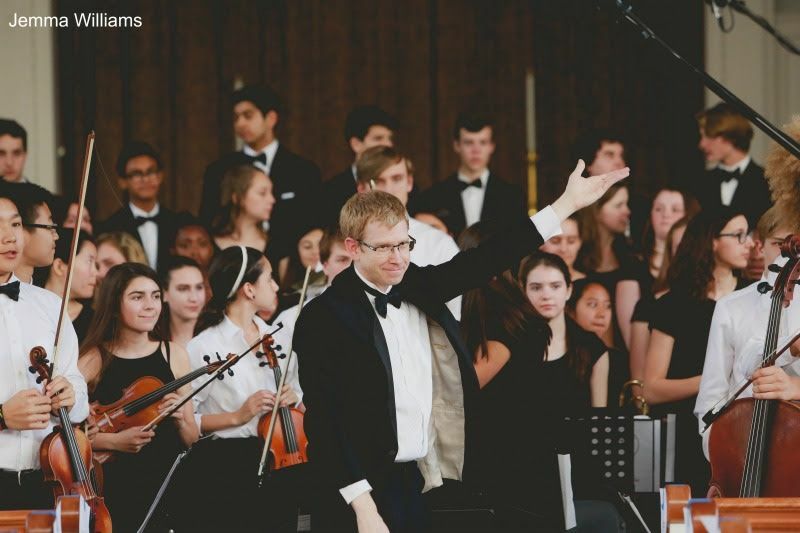 Although Smith will still continue to be deeply involved in the school’s instrumental program, he will continue to teach and conduct only the orchestra. “We have an awesome new Instrumental Music teacher, Mr. DeVona, who will be teaching the new Hopkins Band, as well as Jazz/Rock, seventh and eighth grade Instrumental Music, as well as some Music Theory,” said Smith.